Building links is difficult. Which is why it’s so frustrating when hard‐earned links disappear without warning. This is a nice link from a page with a URL rating (UR) of 22 that lives on a site with a Domain Rating (DR) of 66. But take a look at that very article now. The link is no more. It’s gone. That would sure be a nice link to reclaim, right? Yes. It would. Same goes for the hundreds of other links we’ve lost in past couple of months. Which is where link reclamation comes in. Link reclamation is the process of reclaiming lost links. You had a link. You lost it. You want it back. So you take steps to try to reclaim it. What steps, I hear you ask? It depends why you lost the link in the first place. I’ve starred (*) that last reason because it’s not not technically a lost link. It still exists. But because the page isn’t indexed, it probably isn’t going to be as valuable. Your job is to understand the nuances associated with each “reason.” Only then can you begin to take appropriate actions to reclaim the link. I’ll talk more about this later in the guide. Ahrefs is cited, but there’s no link. You could argue that this should be a link. In which case, attempting to convert this to a linked mention would be a form of link reclamation, right? You can’t reclaim a link you never had in the first place. NOTE. Here’s our extensive guide to converting unlinked mentions to links. 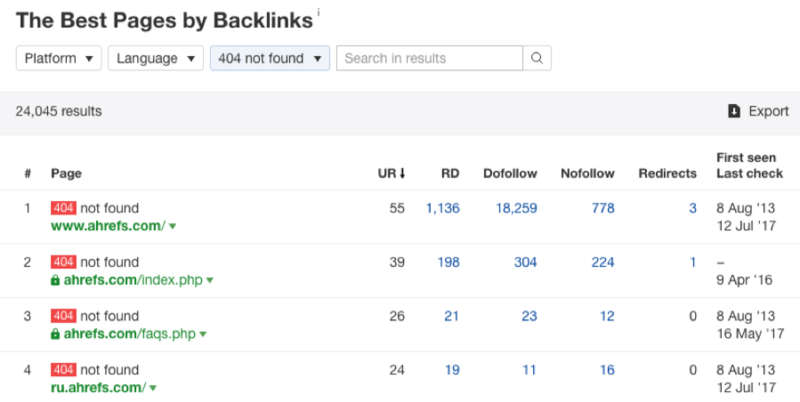 So this guide is all about reclaiming lost backlinks. 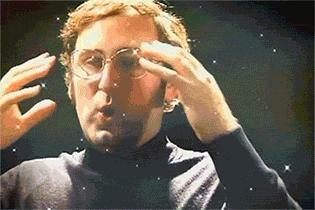 You will now see all the backlinks you’ve lost during the past seven days. For ahrefs.com, I see 572 lost links. But seven days isn’t a very long time. Let’s use the drop‐down and switch this to the past 60 days. Now we have 4,740 lost backlinks, sorted by the date lost (most recent first). Do you want to see lost backlinks for a period greater than 60 days? Try selecting a date range on the calendar. Because I only care about pursuing “dofollow” links on English‐speaking sites, I’ll use the filters to refine the list. I’ll also sort the list by URL Rating (UR) so that the high‐authority linking pages rise to the top. You’ll notice that we label each lost link with a reason for the loss. “Non‐canonical”: The linking page has a rel=“canonical” tag to some other page, which means it is no longer a unique page. So we don’t count links from it. 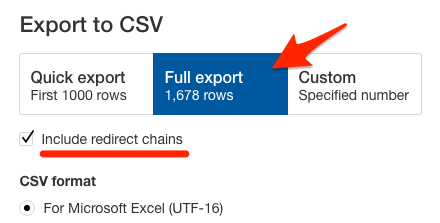 Now I recommend exporting report to Excel/CSV. That way, you can filter by the link loss reason. Just make sure to do a full export and tick the “Include redirect chains” box—the reason for this will become apparent later. Having this filterable export is useful because the link loss reason will dictate which steps you take to try to reclaim the link. Let’s tackle how to handle the reasons for link loss one by one. Let’s go back to that first example from The Hoth. You can see that Ahrefs reports the link loss reason as “link removed.” This is true. There used to be a link to us from that page. Now it’s gone. To figure out which reason it is, open up the linking page in The Wayback Machine. 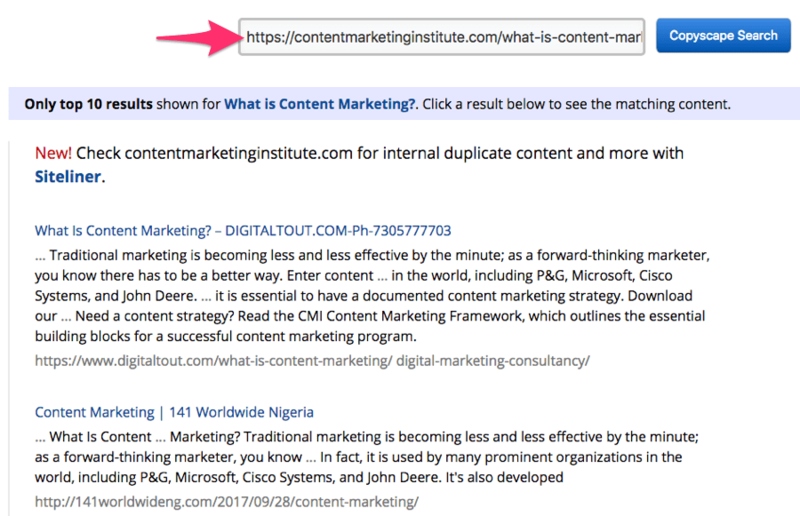 You can do this by hitting the caret on the linking page in the Lost Backlinks report, the clicking the link to archive.org. You won’t see the archive.org link appear if they page hasn’t been archived. Now compare the archived version of the page with the current one. Look at them side by side. If a bunch of external links have disappeared, it’s reason #1: There isn’t usually much you can do about this. Blanket policy is blanket policy. You could reach out and try to educate them but I wouldn’t recommend it. If the content is completely different/new, it’s reason #2: They’re not being spiteful here. They improved their content and your link got removed in the process. Chances are they didn’t even realise. See if there’s an appropriate place for your link in the new content (hint: it MUST add value). If so, reach out and suggest that they add the link back—just don’t be pushy! If they’ve replaced your link with something better but everything else is the same, it’s reason #3: Is the replacement link really better? Then it’s time to up your game. Reach out and ask why they feel that content is better than yours. Get feedback, improve. This will prevent more link losses. They may even reinstate your link if you can 1‐up their replacement link. If they’ve completely removed your link but everything else is the same, it may be reason #4: Build bridges. Don’t burn them. Just don’t reach out with the whole “you deleted my link, can you put it back pls?” schtick. That won’t cut it. You need to figure out the real reason why they removed your link and take any appropriate action. The redirect chain is broken: You have a link from Site A → Site C → Site B, but what if the page on Site C fails to respond? The link is lost due to a broken redirect chain. 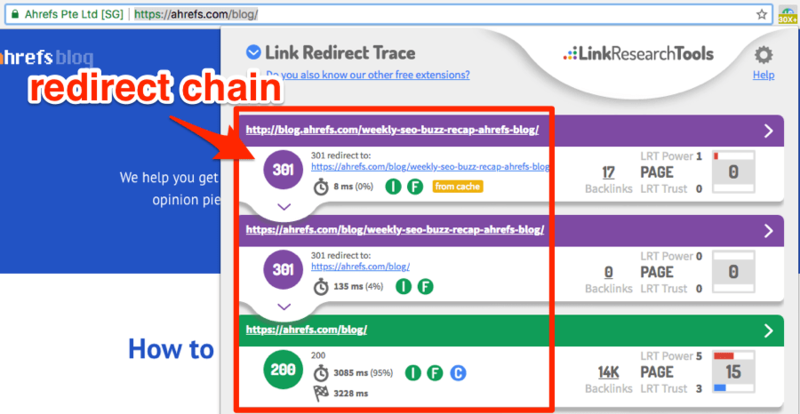 In fact, if any of the pages in the redirect chain fail to respond (including the start and end URLs), it gets reported as a Lost link. The redirect no longer exists (or is changed): Let’s say you had a link from from Site A → Site B but the link was first redirected through one or more other URLs (e.g., Site A → Site C→ Site B). If the linking site was to swap this link out so it linked directly, rather than going through a redirect chain, it would be reported as a Lost link. Same goes if the final URL of the redirect is changed to redirect elsewhere. So as you can see, these aren’t truly lost links. What’s more, these are sometimes reported because of temporary issues. For example, if, while crawling the site, we notice that one of the links in the redirect chain doesn’t respond, we’ll report the link as lost. But in a few hours time, that unresponsive site/page may return to normal, so the link is no longer technically broken. We just won’t “realize” that until we recrawl the linking page. We’ll see it as a lost link until then. But even if it works, there may still be a lengthy redirect chain in place. To check this, just hit launch the redirect tracer in Chrome. Here, the link isn’t lost… but it does go through one too many redirects. It’s always worth reducing the length of the redirect chain wherever possible. Oh, and if you see any third‐party sites in the redirect chain (e.g., bit.ly or other similar services), it may be worth reaching out to the site owner and asking them to link to you directly instead. Looking at the page in Wayback Machine, I can see that it used to be a list of sites where the author (Nathan Gotch) was featured. Ahrefs was one of those places. I would only recommend pursuing these opportunities if you suspect that the page got deleted accidentally. 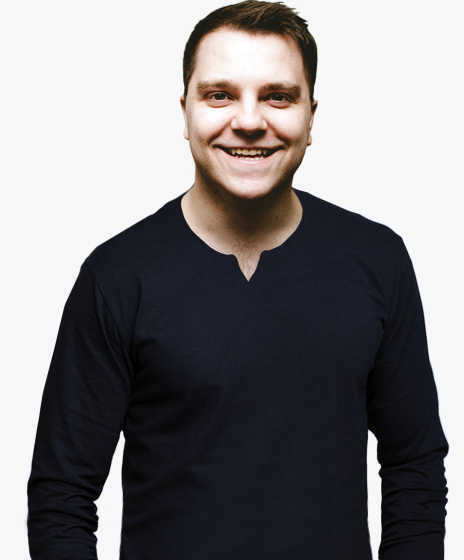 The page has a lot of inbound links pointing to it: Nobody with an ounce of SEO knowledge would delete a highly‐linked‐to page without redirecting it. So look at the number of referring domains in the Lost Links report. Are there lots? If so, then chances are it may have been accidentally deleted. Or, it may have been deleted by someone without much SEO knowledge or access to a tool like Ahrefs. Either way, it’s worth reaching out with a quick “Hey, Just noticed that your ____ page is broken. Did you mean to do this?” If they didn’t, they’ll most likely thank you for letting them know and reinstate it. If they did, it may be worth letting them know the SEO impact of their decision—just try not to sound too condescending. The page is still being internally linked‐to: You accidentally delete an important page and UX suffers. Internal links to said page no longer work, and visitors are left frustrated by 404 errors. How do you know if the page is being linked‐to internally? Look at the URL Rating (UR) of the page. If it’s high in relation to DR and the page has no (or very few) referring domains, it’s probably due to internal links. Final tip: if the site is linking to you elsewhere, it’s usually not worth pestering people about the removal of a single link. Just let it go. It’s not worth burning bridges over. You can verify the presence of this tag by searching the source code of the linking page for content=“noindex. So it’s kind of tricky with noindex. Which which I think is something somewhat of a misconception in general with a the SEO community. In that with a noindex and follow it’s still the case that we see the noindex. And in the first step we say okay you don’t want this page shown in the search results. We’ll still keep it in our index, we just won’t show it and then we can follow those links. But if we see the noindex there for longer than we think this this page really doesn’t want to be used in search so we will remove it completely. And then we won’t follow the links anyway. So in noindex and follow is essentially kind of the same as a noindex, nofollow. There’s no really big difference there in the long run. Got it? If a page stays noindexed for any lengthy period of time, Google won’t count the links on it. This means that you should aim to fix these issues where possible. What’s more, if a page isn’t indexed, fewer people will come across it. And if fewer people come across it, fewer people will link to it (you can’t link to a page that you don’t know exists!). The result? Your link will exist on a weak page and be less valuable. But here’s the thing: a lot of people add “noindex” tags by accident. Look out for signs of SEO: Why would someone optimize a page they planned to “noindex”? They wouldn’t. So if the page shows any signs of optimization (e.g., targeting a high‐volume keyword, keyword present in meta tags, etc), the likeliness of an accidental “noindex” is high. Did you spot either of these two things? Be helpful. Reach out and give them a quick heads up. If it doesn’t seem accidental, leave it—don’t be a pushy jerk. Recommended reading: What is Canonicalization? In all of these instances, your link will still exist at the canonicalized version of the URL. But sometimes, canonicals are indicative of a mistake. Here’s one of our recent “lost” backlinks that came about as a result of a canonical tag being added to the page. Looking at the source code for this page, I can see that the canonical points to the blog homepage. Pretty strange. The blog homepage clearly isn’t the canonical for this URL—it’s a different page. Having checked out a few other blog posts, I see that this is a sitewide canonical. Every blog post has a canonical tag pointing to the blog homepage, which is clearly an error. Want an easy way to check the canonical “type” for all reported lost backlinks? Make a copy of this Google Sheet, export the Lost Backlinks report from Ahrefs Site Explorer, then filter the “Backlink Status” column for “Not canonical anymore” errors. Paste the referring pages into column A in the Google Sheet. It will tell you what “type” of canonical has been implemented. Google is usually smart enough to figure this out and ignore the canonical. In which case, this isn’t really anything to worry about. Your link still exists and the page is probably still indexed in Google. But it can still be worth reaching out to the site owner to let them know. It’s a helpful thing to do and may be the catalyst to forming a relationship, which can lead to more links further down the line. You can see where the URL redirects by visiting the page. The browser will take you to the redirected URL. Recommended reading: What is a 301 Redirect? In each of these instances, the redirected URL will usually still link back to your site. So it’s not really lost. But sometimes, pages are deleted and then redirected elsewhere—this often leads to a true lost backlink. You can easily check whether this is the case by searching the source code of the redirected URL for yourdomain.com. No results? The redirected page doesn’t link back to you. Want an easy way to check whether the 301/302 redirected pages link back to you. Make a copy of this Google Sheet, export the Lost Backlinks report from Ahrefs Site Explorer, then filter the “Backlink Status” column for “Redirected 301 moved permanently” and “Redirected 302 redirect” errors. Enter your domain in cell A1 of the sheet labelled “Settings,” then paste the referring pages (from the Lost Backlinks report) into column A in the sheet labelled “Redirects.” It will show whether each final redirected URL contains a link back to your site. NOTE. This sheet is an edited version of the one created by The Tech SEO here. The redirected page contains an unlinked mention: This was the case with the example above. By chance, it happened to mention Ahrefs… but there was no link. Such instances are unlinked mention opportunities and should be treated as such. Learn more here. There’s a clear link opportunity on the redirected page: Would a link to a resource of yours add value to the page? Reach out and suggest it. However, if the redirected page is totally irrelevant (e.g., an old blog post is now redirected to the site homepage), leave it and cut your losses. Are you an Ahrefs user? Then you’ll know that you can access Ahrefs Site Explorer at https://ahrefs.com/site-explorer. This is an easy mistake to make. They clearly didn’t format the link quite right. The problem is that this page kicks back a 404 error. Links to broken (404) pages like this are wasted links. There’s nowhere for that link juice to go. 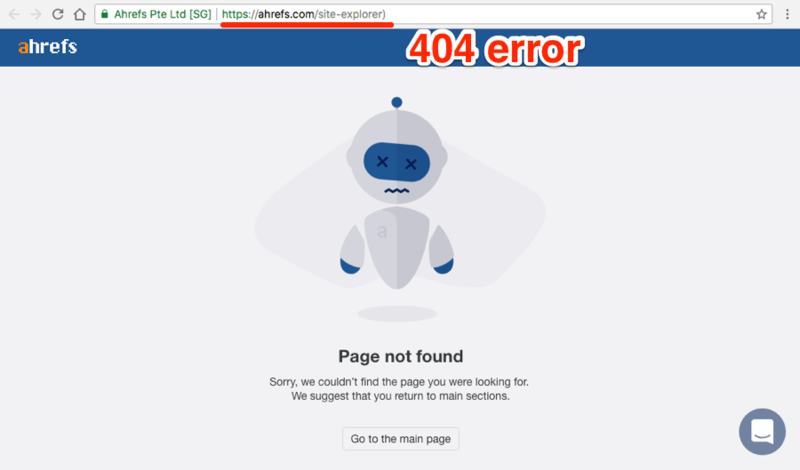 If we look at the Best by Links report in Site Explorer for ahrefs.com and filter for 404 pages, we see that this isn’t a one‐off either. I counted hundreds broken pages with a combined total of thousands of referring domains pointing to them. Reaching out to the linking websites and asking them to change the link destination. People often steal content and remove/neglect the link back to the original source. Let’s see how many times this has been quoted using the intext: Google search operator. Here’s one page quoting the definition that doesn’t link back to the source. You might view this as more of an unlinked mention. That’s fair. But in my book, it’s a lost backlink because the source link (which should be there) has been removed. But how did I find this this anyway? Well, I could have scraped those Google results from the intext: search and pasted them into the spreadsheet to highlight unlinked domains. But in this case, I used Content Explorer instead. Having done this for the CMI definition, I got 458 results. But here’s the problem: we have no clue whether these pages link to the source or not. We could hit the “Only highlighted unlinked domains” box in Content Explorer. But this only highlights unlinked domains. It won’t tell us if the page includes the link or not. Did you get a lot of results from Content Explorer? 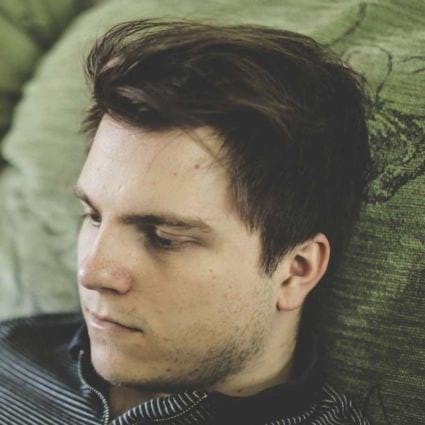 It may make sense to prioritise the unlinked domains first. 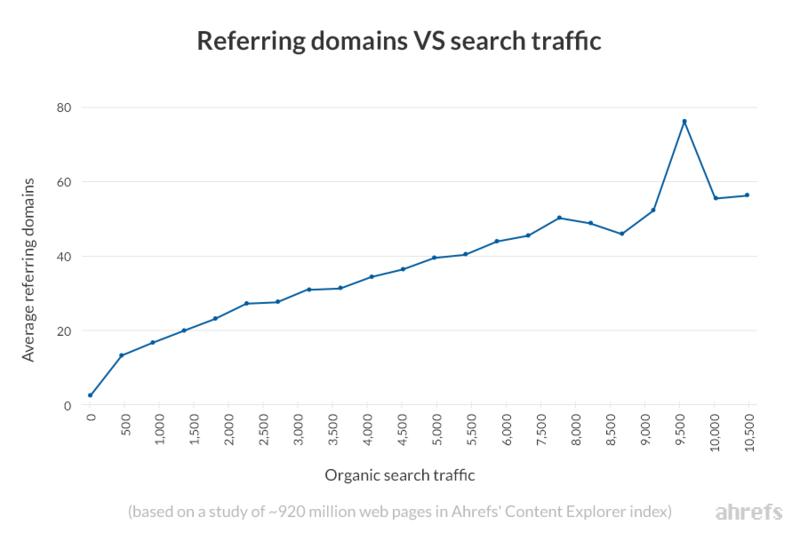 This is because there’s a clear correlation between the number of referring domains to a page and the search traffic it receives. To do this, hit “Export” and leave the “Only highlighted unlinked domains” box checked. This will give you a list of all unlinked domains in a spreadsheet. When I did this for the CMI definition, I found 95 unlinked quotes on domains that have never linked to CMI. To find that out, we would need to check for links on a page‐level. You can do this manually. Just open up each page and search the source code for the domain in question (e.g., contentmarketinginstitute.com). But this is time‐consuming, which is why I recommend automating this process. I explain how to do this in my unlinked mentions guide here. If you’re still struggling to identify such content, you can always run your web pages through Copyscape. You will have to do them one‐by‐one (unless you’re using their API), so I recommend starting with your most popular pages. The Top Pages report in Site Explorer can help with this. Paste each of these URLs into Copyscape and it’ll look for stolen snippets across the web. Be careful, as Copyscape does have a tendency to kick back some false‐positives. However, once you identify a snippet that appears to have been stolen many times, just search for it in Content Explorer or using an intext: search in Google. Link reclamation isn’t a one‐time process. You will lose links all the time for a many different reasons. It pays to regularly check for lost links and reclaim any that you can. It may even be wise to re‐allocate some of your resources away from link building and towards link reclamation. This is because reclaiming lost links can often be easier, less time‐consuming, and ultimately less costly than building new links. My final piece of advice? Pick your battles wisely. Don’t try to reclaim links that were lost for good reason. Pursue those you stand a good chance of reclaiming. For more link building tactics that don’t require new content, check out this post.